PointNineLintas, the newest independent agency from the MullenLowe Lintas Group, has announced the first set of names in its leadership team. It’s a line-up of senior domain experts that will work with CEO Vikas Mehta. All teams of PointNineLintas will be co-located in offices in Mumbai, New Delhi (NCR) and Bangalore. Ameer Ismail has been named Chief Growth Officer, Sumanta Ganguly takes on the role of National Director – Digital Marketing & Transformation, while Sriharsh Grandhe will be National Director – Consumer Engagement. 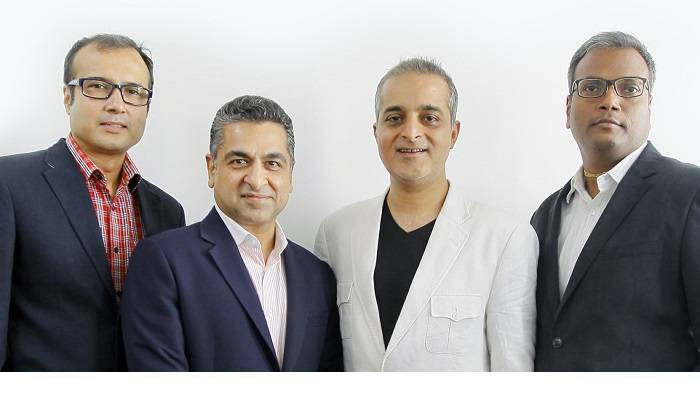 Along with Vikas Mehta; Ameer Ismail, Sumanta Ganguly and Sriharsh Grandhe will work with clients to build bespoke agency solutions geared to maximise return-on-marketing-investments. The consumer engagement practice for PointNineLintas; including activation, experiential & shopper marketing; will be led by Sriharsh Grandhe. His mandate will be to author go-to-market programs built around physical and digital consumer-journeys. Grandhe will also be involved in developing the agency’s product –stack of mar-tech offerings. The agency is planning more additions to the leadership team, which will be announced in the coming days. PointNineLintas is the newest full-service agency of MullenLowe Lintas Group in India. Born in August 2017, PointNineLintas is an omni-channel agency built for consumers in an experience economy. With a team of ~200 practitioners and a portfolio of over 50 clients, the agency offers a robust suite of marketing capabilities including advertising (on and offline), digital marketing & transformation, activation, experiential & shopper marketing, social media, PR and reputation-management – all under one roof. The name PointNine signifies the agency’s philosophy and its operating model of ‘forever beta, by choice’. Erstwhile Marketing Services offerings of the MullenLowe Lintas Group – GolinOpinion, LinTeractive and LinEngage – now operate as divisions of PointNineLintas. XIMB organised their annual business conclave "Mercatique 2017"